Isn’t almond butter the best in ice cream??! I posted my almond butter ice cream awhile back and got such a great response. It’s so awesome because it makes it amazingly creamy! I love that you added spinach to it to make it green instead of artificial coloring. Spinach is great because it’s practically flavorless. Love the pistachios too! Looks delish and perfect for St. Patrick’s day! I wanted to reduce the coconut flavor in this one. Turns out it’s a perfect trick! I had totally forgotten about your almond butter one! I need to go back and take a look again, I’m totally into ice cream right now! You CANNOT taste the spinach. SO awesome! 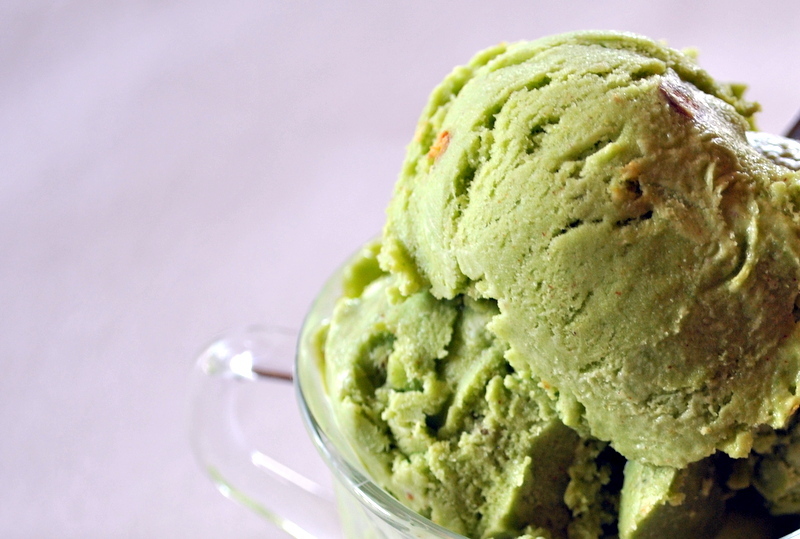 Could this (or any other) ice cream recipe on your site be made in a vitamixer? modification suggestions welcome. You know, I do think St. Patrick would approve! Hmmm, intrigued…. I’ll bet you could stick some mashed potato in this and no one would notice! You totally could Somer! I added sweet potato to lessen the sugar amount in my chocolate peppermint ice cream and you couldn’t tell AT ALL there is potato! I remember you did that! Haha! Clever girl! I buy so much spinach every week it’s ridiculous. I put it in everything, now even ice cream 😉 Hopefully you’ll get a better yield out of your urban garden soon. The almond butter makes it sooo good! I wanna do an all-green day now :-)!! Very fun! And the showstopper is that gorgeous ice cream. Who’s afraid of spinach? Not me!! How I wish I had an icecream maker when I see posts like these! Almond butter is my all-time favorite nut butter, this sounds amazing. I got mine second hand! Such a worthwhile investment! We use it all the time, If you buy vegan ice cream, then this will pay itself off in no time! My husband says he loves this so much more than anything store bought. We can’t get enough! Oh my goodness, then you will love this! It’s the best! 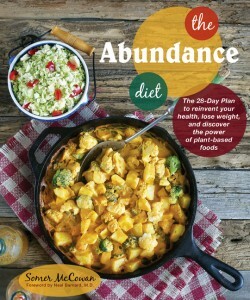 I love the idea of eating green all day! That’s so fun. I want to be a kid at your house. 🙂 This ice cream looks and sounds amazing, by the way. Hello! Love this! Wish I had my ice cream machine where I live. I wanna try something similar. Never fear, Somer, I shall email you soon! Wait a second, you mean someone made spinach green pancakes before me? I felt so original. Ice cream sounds better anyway. Yup, totally justifies the second helping! It’s funny – just today, I conned my sister-in-law in giving me her ice cream maker for a couple of weeks. I am going to make this for sure!! 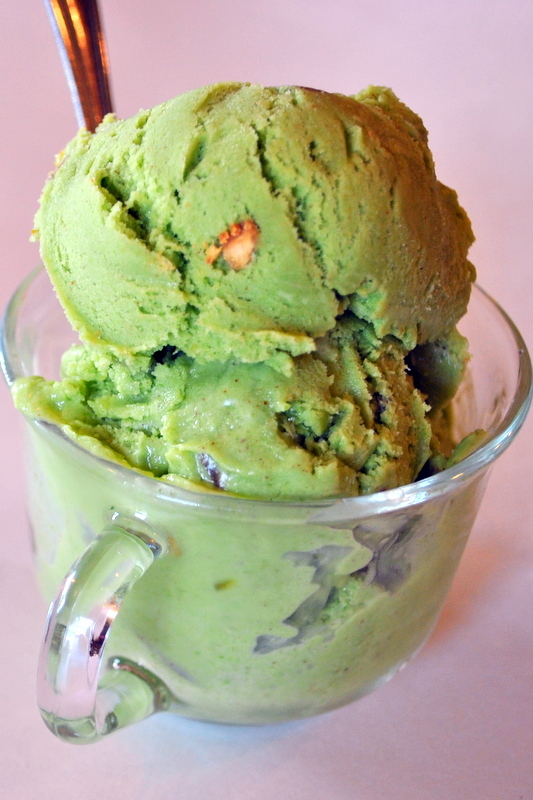 Pingback: Vegan Almond Pistachio Ice Cream made with Rice Milk. Get OUT!! Is there anything you CAN’T do, woman? We are so trying this. Perhaps it would go well after a gooey Moxerella pizza. And you remind me to have a Thai laksa for lunch — and now I can make it my own self. Why is it with you my mouth is always watering. Miss you girl. Trying to get back into the swing again. Blog love coming at’cha. Wow that pistachio ice cream looks divine Somer! I just have to have an ice cream maker!! Fun to hear about your Sct Patrick tradition – all green food, how cool!. We don’t celebrate Sct Patrick’s day in Denmark so it’s all new to me. This looks so crazy good Somer! I love that you go all out on St. Patrick’s day – it is SO fun with young kids! I am half tempted to buy an ice cream maker JUST for this. Amazing! I’ve been complaining for months (years?) 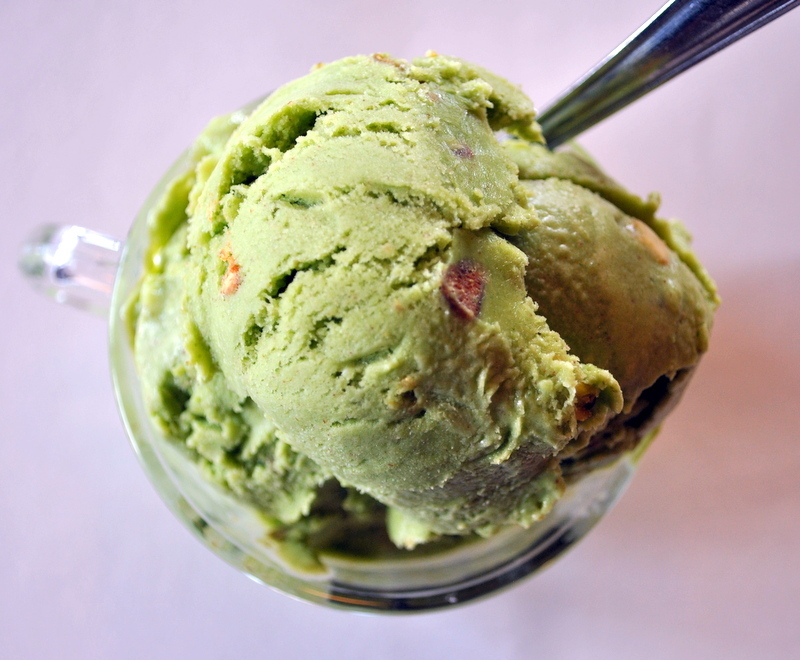 that of all the vegan ice cream flavors we can walk into the store and buy, pistachio is not among them… and pistachio was always my favorite! Thank you SO MUCH for this! Totally made green pancakes with spinach in them. Can’t wait to make this. What a tasty looking special vegan ice-cream! It rocks! Yumm! That is a lot of green food! This looks so so so good- I need to try my hand at vegan ice cream making, my last attempt 3 years ago was a major fail, I think I need to put on my big girl pants and give it another try! Oh girl, I know you have that Ice cream maker… Warmer weather is coming… It’s time to break it out! Vegan ice cream is delish! Get out those big girl pants! Wow, I make a delicious pistachio & cardamom kulfi – I need to get round to blogging the recipe. 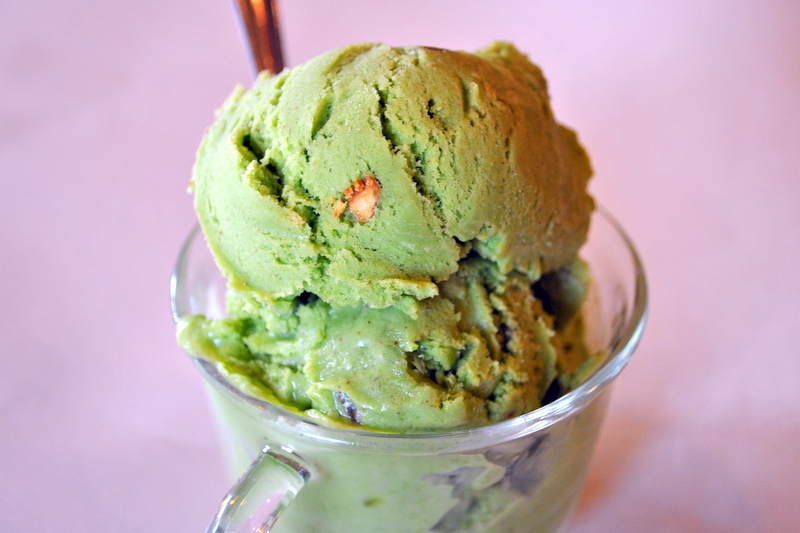 But I love the look of this recipe – the colour is great, spinach, in ice-cream? Now that is fun! I’m a little behind on reading posts! SO glad I go to this one. This sounds incredible. I think an ice cream machine is in the offing if I can make dairy free ice cream in it! IT is even better than dairy ice cream! I promise. I bought my ice cream maker secondhand. Totally worthwhile investment!